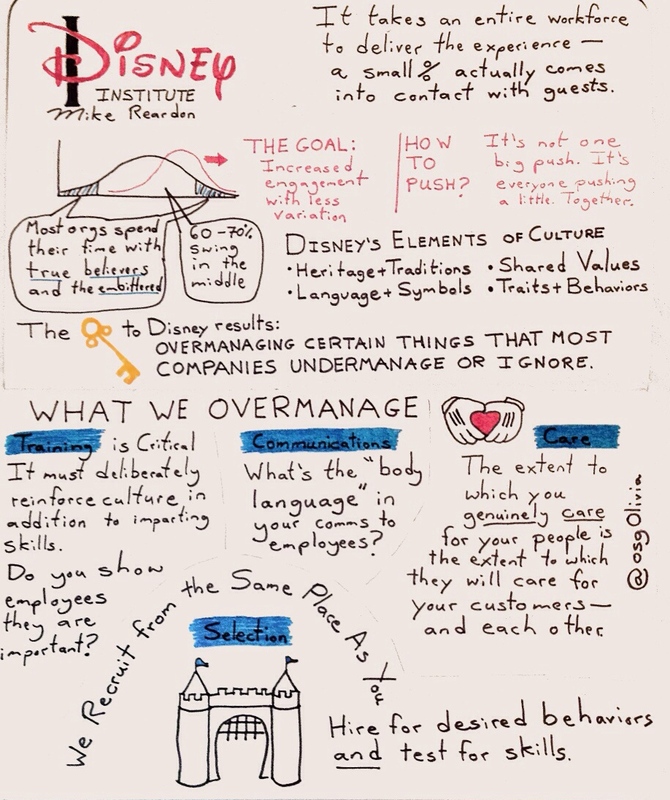 I had a great opportunity to hear Mike Reardon from the Disney Institute talk about how Disney keeps its culture alive. Mike asked: How many of you have a focused “care” strategy? Uncontaminated with self-interest, how do you demonstrate that you care for your employees? He emphasized the value of personalizing care for employees. While Disney interns are in oriententation, family and friends are invited to their own orientation complete with tours of intern housing, the workplace and meet-and-greets with the intern supervisors and resident advisors. Disney works to model care for the employees so they know how to do it for customers. My biggest takeaway: The extent to which you genuinely care for your people is the extent to which they will care for your customers – and each other. We all spend at least 40 hours a week at work. Our work environments should make us a better people– it should support and build us up. It should model the right way to treat one another as human beings. Here are the rest of my sketchnotes below. Enjoy! Why Are There So Many Black Athletes?